Is your foundation suffering from water damage? Water is a common culprit when it comes to foundation damage, especially in climates where heavy rain and flooding is common. Here are some tips on how to spot and repair water foundation damage. It can cause wooden parts of your structure to rot. It can cause the soil under your foundation to erode or shift over time. This causes a lack of support for your foundation, which leads to shifting and cracking. Moisture can cause the soil around your foundation to expand. This puts pressure on your foundation, leading to cracking. Cracks appearing in the walls and floors of your basement. Walls bending or sagging, either inward or outward. A musty odor that doesn’t seem to leave your basement. The appearance or the odor of mold or mildew. Discoloration of your walls, wallpaper that is peeling off, or a carpeted floor that becomes moist and spongy. Maintain your gutter regularly so that it properly drains water away from your home. Employ drainage methods to keep rainwater away from your foundation. Maintain your pipes to prevent them from bursting and flooding your home. If you suspect that your foundation may be damaged as a result of flooding, contact us right away. Our professionals will inspect your foundation to check for any damage. 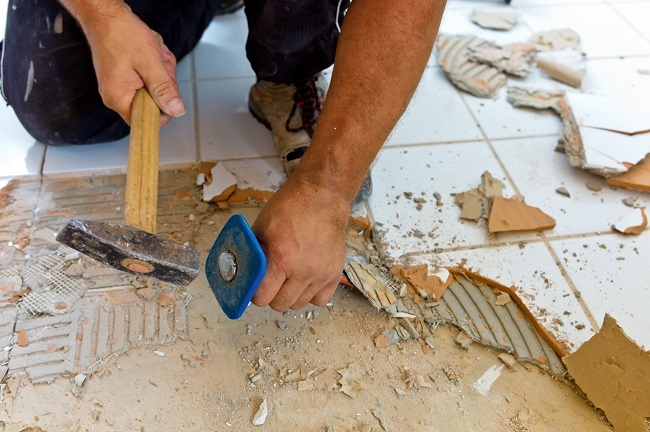 Excess moisture will be removed, and the foundation will be strengthened and repaired. One type of foundation damage homeowners might face is a sinking foundation. Unfortunately, it is not always easy to spot. Here are some useful tips to answer your question: Is your foundation sinking? What Causes a Sinking Foundation? A foundation can start sinking if it was laid improperly by the contractor. It can also occur if it was laid on soil that is not stable. Soil will level and change over time, and it must be stable enough to uphold the foundation for an extended period of time. Uneven floor: This is a more extreme example, but if the foundation is sinking deep enough, your floor may become visibly uneven. 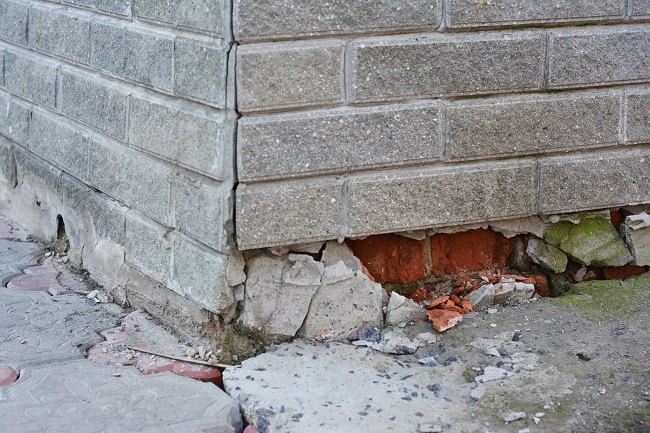 Cracking walls: If the walls near your foundation are developing cracks, especially if these cracks are appearing long after the house was built and are continuously worsening, then they may be caused by the pressure put on the walls from a sinking and uneven foundation. Sagging walls: The walls may bend outward or inward. Stuck doors or windows: If your doors and windows get jammed, it might be because the floor is uneven, even if you can’t see it. Puddles: Puddles near the base of the foundation. Not dealing with a sinking foundation right away will cause many problems later on. The foundation will continue to sink and lead to structural damage to the entire home. There are several methods of dealing with a sinking foundation. These methods, employed by professionals, are designed to strengthen the soil and provide additional support to the foundation. If you suspect that your foundation may be sinking, call a professional to conduct an inspection right away. Contact us for more information.